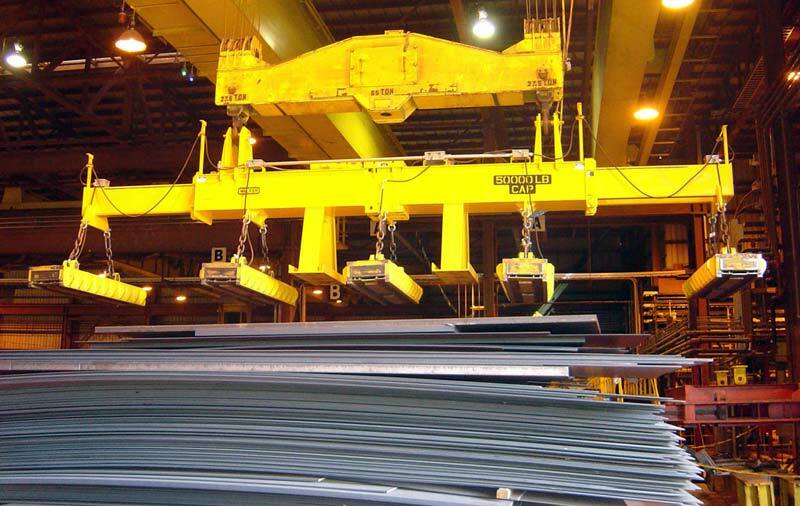 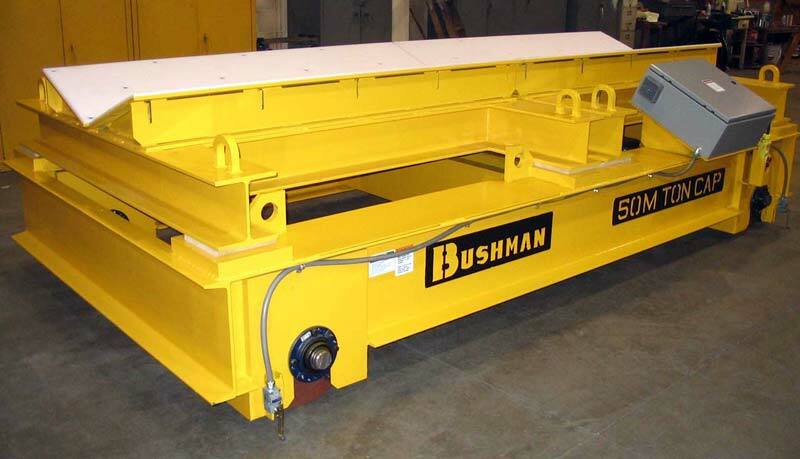 Bushman Equipment, Inc. has designed and built custom material handling equipment for over 55 years. 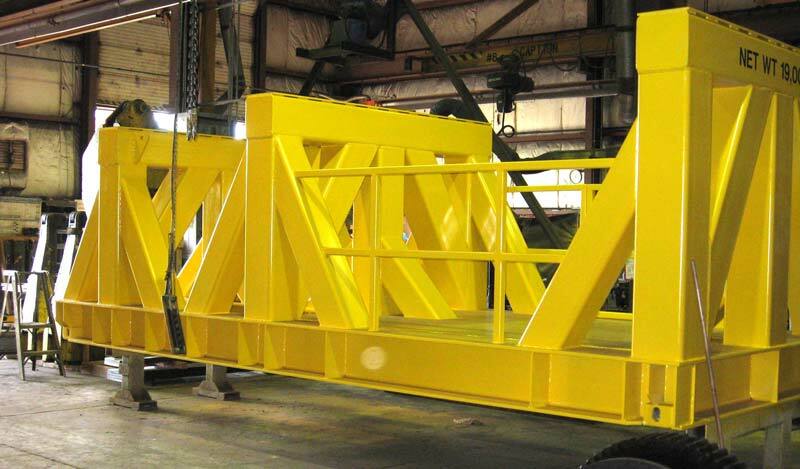 So when you are looking to improve your production throughput and minimize costly product damage, give us a call. 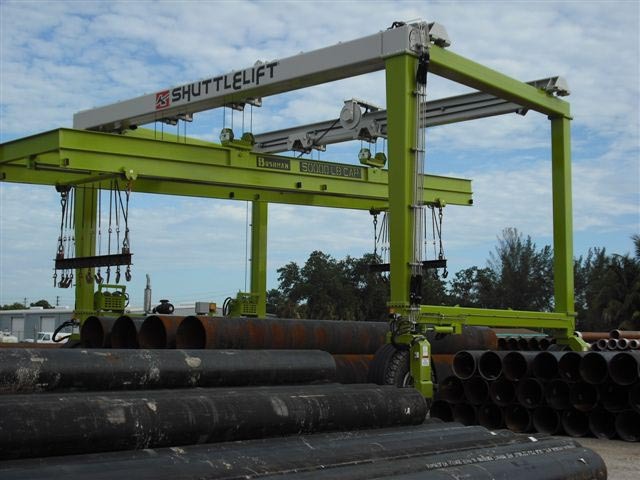 Bushman Equipment, Inc. is your best choice for the job. 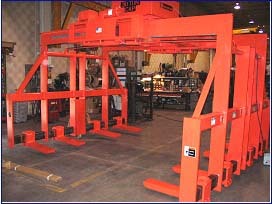 Allows 360 degree motorized rotation for final finishing or inspection. 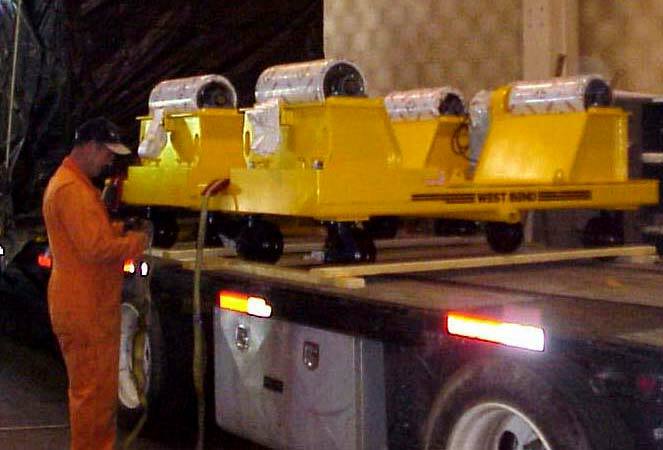 Carts can be secured to the floor or equipped with wheels for transporting blades. 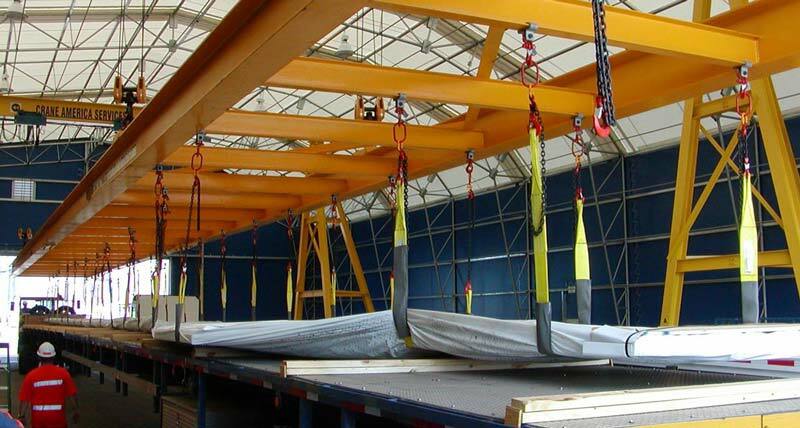 Pressure pads securely hold any shape blade without damage. 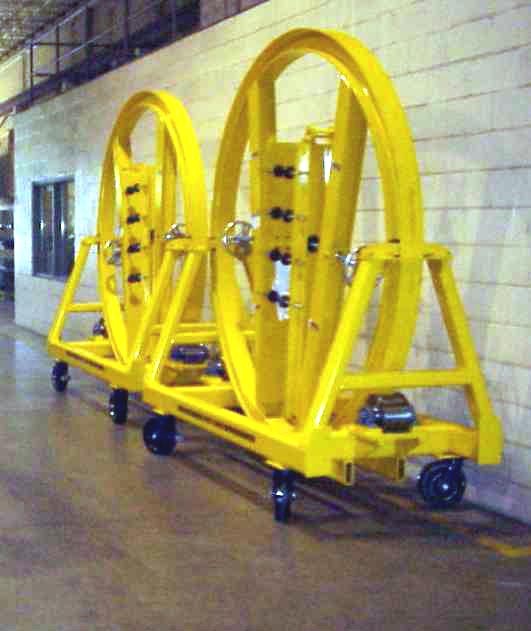 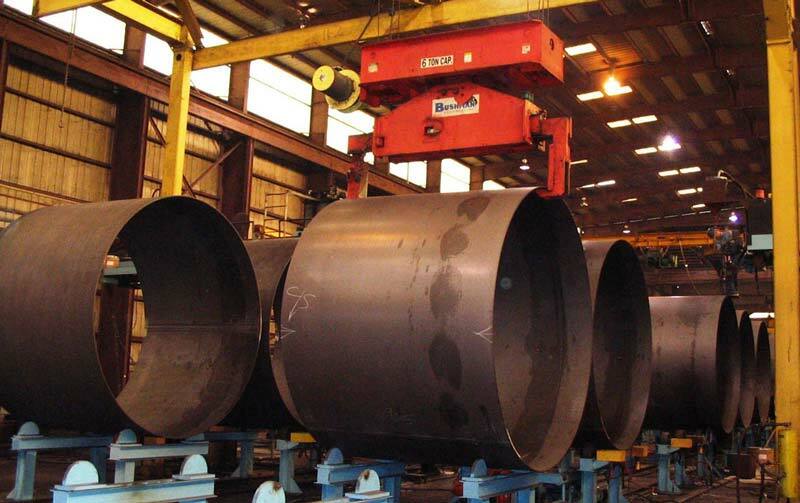 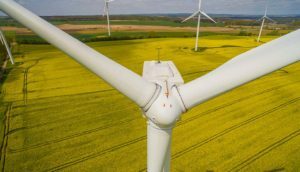 During fabrication, final assembly, or any other time you need to get under the nacelle safely, Bushman Equipment, Inc. Nacelle Stands are the products of choice. 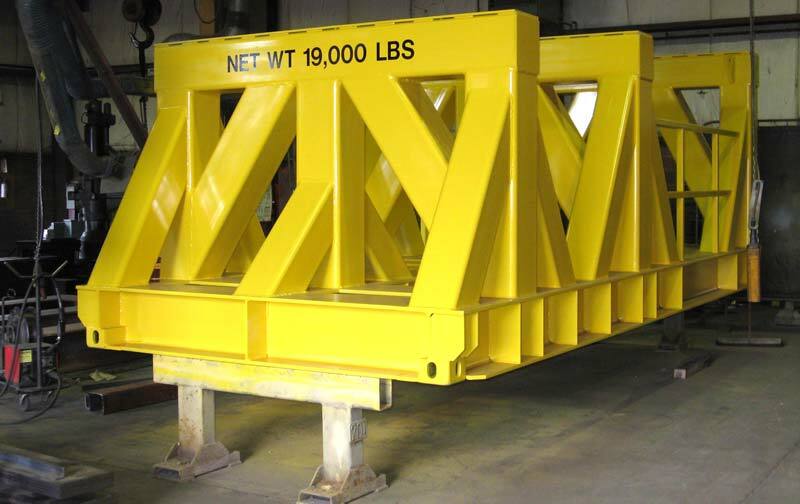 Ruggedly constructed of structural shapes and plate, they provide the strength and security you need to work safely under these heavy loads.